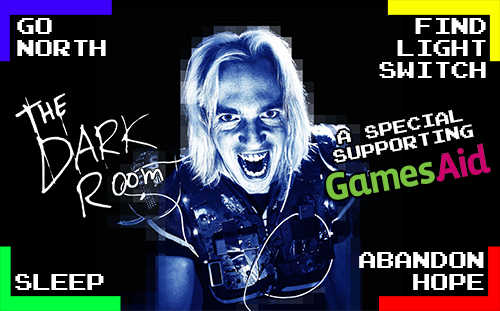 The cult hit touring the world since 2012, THE DARK ROOM is the world’s first live-action text-based adventure game! It’s award-winning stand-up comedy wedded to retro video games and fused into a deranged rock n’ roll game show where the audience plays as contestants. As seen at Insomnia Gaming Expo, Runefest, EB Games Expo Australia, SFW, UK Games Expo, Soho Theatre, Gameblast, Edinburgh Fringe 2012 - 2017, Underbelly Festival and MCM Comic Con. Hosted by John Robertson, a comedian for 15 years, who hosted Videogame Nation on Challenge from 2014 - 16.